Students learn essential skills of working at advanced level in Microsoft Word, Excel, PowerPoint, Outlook, and Access 2016. The registration fee for these exams are included with this program. Microsoft Office 2016 skills are important skills to have in any profession or workplace. Being able to work with Office programs is a must in today's workplace whether you are preparing for an entry-level position or are an experienced professional. The material is presented in a step-by-step manner, and you will learn by completing readings and hands-on exercises, as well as watching video presentations. The course also includes quizzes and exams so you can test your skills at regular intervals throughout the material. Upon successful completion of the program, you will be awarded a certificate of completion. 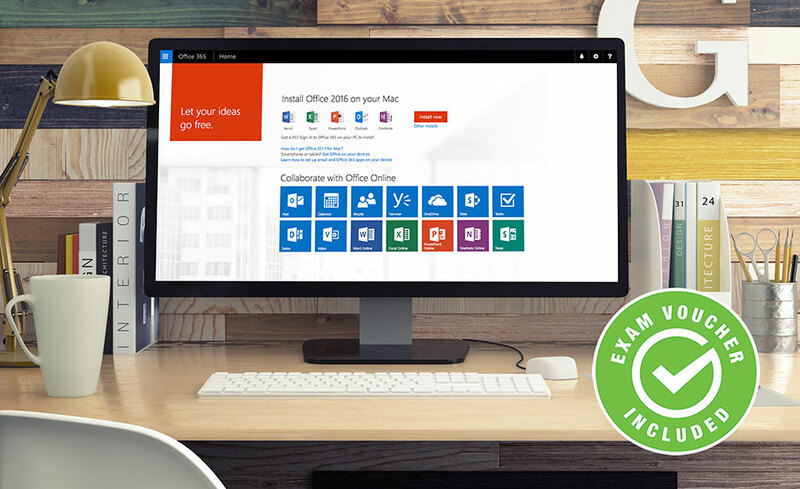 In addition, you will receive exam vouchers for the Microsoft Office Specialist Certification exams 77-727 and 77-728 (Excel), 77-725 and 77-726 (Word), 77-729 (PowerPoint), 77-731 (Outlook), and 77-730 (Access) after successful completion of the program and financial obligation. Yes, you will be prepared for the Microsoft Office Specialist Certification Exams 77-727 and 77-728 (Excel), 77-725 and 77-726 (Word), 77-729 (PowerPoint), 77-731 (Outlook), and 77-730 (Access) and receive exam vouchers after successful completion of the program and financial obligation.